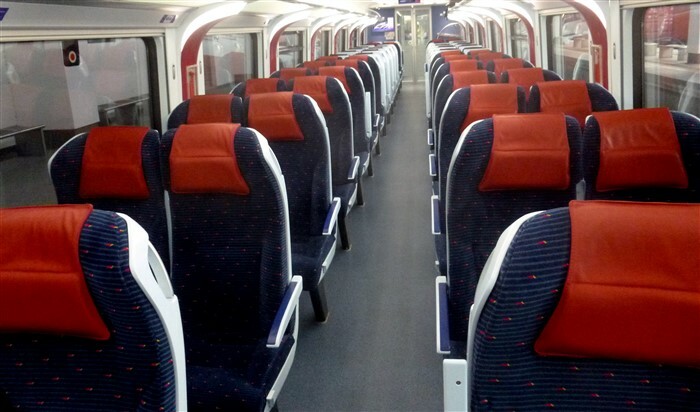 The new KTMB ETS Train from KL to Penang started in July 2015 and has cut the travel time from the capital of Malaysia in half (compared to the old diesel Intercity) and is now the fastest way to travel from Kuala Lumpur to Penang overland. Trains leave from Kuala Lumpur's KL Sentral Railway Station and arrive at Penang's Butterworth Railway Station on the mainland, just 15 minutes away by ferry to George Town on Penang Island. You can also take these trains from the old Moorish Kuala Lumpur Railway Station - Terminal KTM (trains depart about five minutes later than the times shown from KL Sentral below). The duration of the rail trip from KL to Butterworth by train is 4 hours and 15 minutes for the fastest services, slightly slower (another 15 - 20 minutes) for the Gold services which stop more frequently along the route. EP 9102 (ETS Platinum) Departs KL Sentral at 11:25 - Arrives at Butterworth at 15:40. EP 9104 (ETS Platinum) Departs KL Sentral at 14:40 - Arrives at Butterworth at 18:55. EG 9322 (ETS Gold) Departs KL Sentral at 17:34 - Arrives at Butterworth at 22:02. EP 9106 (ETS Platinum) Departs KL Sentral at 20:40 - Arrives at Butterworth at 00:55. EG 9122 (ETS Gold) Departs KL Sentral at 21:50 - Arrives at Butterworth at 02:15. EP Numbered Trains are ETS Platinum Services (have less stops). Looking for somewhere new to stay in Penang? Please note: If you want to go to Penang Island (Georgetown), you will have to take one of the earlier trains as the ferry from Butterworth to Penang stops operating at around midnight (otherwise you will have to take an expensive taxi over to the island). 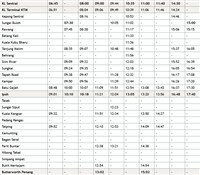 The above rail services from Kuala Lumpur to Butterworth, Penang have a varying amount of stops along the route. To help in your choice of trains, you may want to take a look at the latest full ETS timetable. Once you arrive at Butterworth Station you will find onward travel connections within just a few minutes walk from the station exit. The Butterworth bus station is right in front of the exit and the ferry over to Penang is just a couple of minutes walk away. Prices for the train from the old Kuala Lumpur Railway Station (Terminal KTM) to Butterworth cost the same. ETS Train tickets can be bought from the KL Sentral Station ticket counter or any main KTMB station. Advance booking periods can vary from just a few weeks ahead, to over 3 months ahead (depending on when KTM plan to change the ETS schedule, which they do a number of times a year at the moment). An easier solution is to book your tickets online. Tickets prices are the same as the counter price if you use the KTM website. Or you can use an online ticket agent (booking fees may apply). 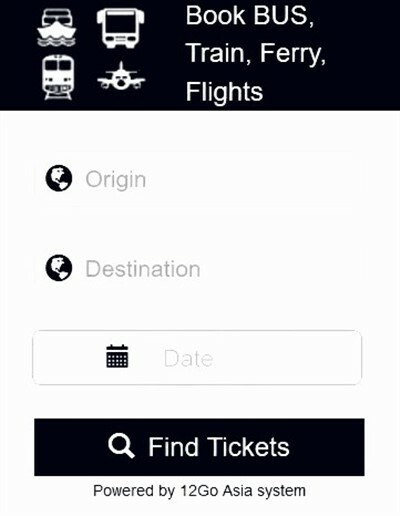 Booking online also saves you the trouble of having to visit the station days before your departure to buy your tickets. Penang Island has hundreds of places to stay, ranging from cheap backpacker hostels to top luxury five star resorts and colonial heritage hotels. The best places to stay are in the old part of the city for easy access to all the tourist attractions, or out on the beaches at Batu Ferringhi.